Hi everyone! I’m on a two week vacation (from my day job at least), in Seattle and San Fransisco. 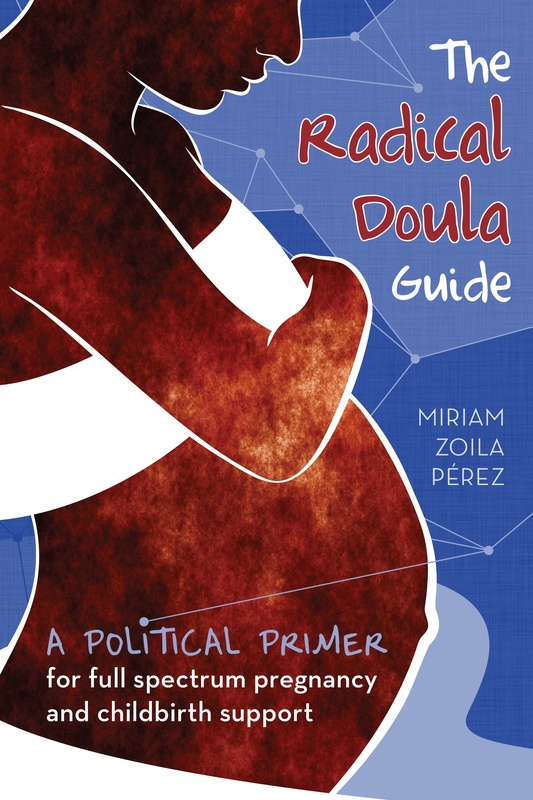 Hopefully it will give me some time to catch up on blogging, and make some much needed changes here at Radical Doula! Stay tuned for an overhaul of my blog roll, as well as my Radical Doula?!?! page revisited. I’ve had this article in my drafts for a while, and while it’s a piece from last year that ran at Alternet.org I wanted to highlight it anyway. In The Disturbing Truth About Doctors and Your Medical Safety Atul Gawande discusses the spread of disease in hospitals, partially caused by providers not washing their hands enough. Each year, according to the U.S. Centers for Disease Control, two million Americans acquire an infection while they are in the hospital. Ninety thousand die of that infection. The hardest part of the infection-control team’s job, Yokoe says, is not coping with the variety of contagions they encounter or the panic that sometimes occurs among patients and staff. Instead, their greatest difficulty is getting clinicians like me to do the one thing that consistently halts the spread of infections: wash our hands. Those of you who know anything about the history of obstetrics in the United States are probably familiar with puerperal fever, which was a major cause of death of pregnant women when birth was first brought into the hospital. (Side note: this is a great thing to bring up as a counter to the “but so many women used to die in childbirth before hospitals argument”) Basically, doctors at the time didn’t understand bacteria and how disease was spread. They also believed that hand washing wasn’t necessary for gentlemen. This meant that doctors went from birthing mother to birthing mother without washing their hands or using gloves, and passed infections between them. This is, embarrassingly, nothing new: In 1847, at the age of twenty-eight, the Viennese obstetrician Ignac Semmelweis famously deduced that, by not washing their hands consistently or well enough, doctors were themselves to blame for childbed fever. Childbed fever, also known as puerperal fever, was the leading cause of maternal death in childbirth in the era before antibiotics (and before the recognition that germs are the agents of infectious disease). Out of three thousand mothers who delivered babies at the hospital where Semmelweis worked, six hundred or more died of the disease each year — a horrifying 20 percent maternal death rate. Of mothers delivering at home, only 1 percent died. While issues of gentility and knowledge of disease spread are no longer to blame for these infections being passed in hospitals, getting hospital staff to wash their hands is still a huge challenge. Our hospital’s statistics show what studies everywhere else have shown — that we doctors and nurses wash our hands one-third to one-half as often as we are supposed to. Gawande further explains the challenges around getting providers to comply with hand washing standards, including time constraints, understaffing and skin irritation caused by too frequent washing. Add to that the fact that it is almost impossible to rid the skin of bacteria effectively and you’ve got a not-so-comforting equation. What’s my point in sharing this? To me it’s just further evidence of why most childbirths should be kept out of hospitals. Why should women and newborns be exposed to possible infections and other hospital related ailments? I’d argue that we might have been better off at home. Hospitals are for sick people, and pregnant and birthing women are not sick. Let’s keep combating the “hospitals are the safest place for birth” myth. You know the worst part about childbed fever? It wasn’t just spread from live woman to live woman. They used recently-dead women (many of whom had actually recently died from childbed fever themselves) to train med students in how to check dilation. Also, doctors did not specialize in childbirth, so they treated everybody, and therefore dealt with an awful lot of sick, dying, and dead people. Without washing their hands. And then checked dilation. It’s more a wonder that *every* woman didn’t die in the “good ol’ days”!